Beet nourishes skin & renews cells phytocompounds, helping to hydrate and lock in moisture. Avocado Oil, smoothing Macadamia and Almond Oil condition and replenish skin. 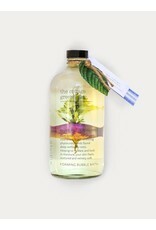 Gentle to all skin types while maintaining long lasting bubbles.